Can you imagine a powerful, highly sociable feline, stealthy yet huggable, traveling from town to town, family to family, to spread awareness about DM? A well-mannered lion who's comfortable in a host of different habitats? Now you can. 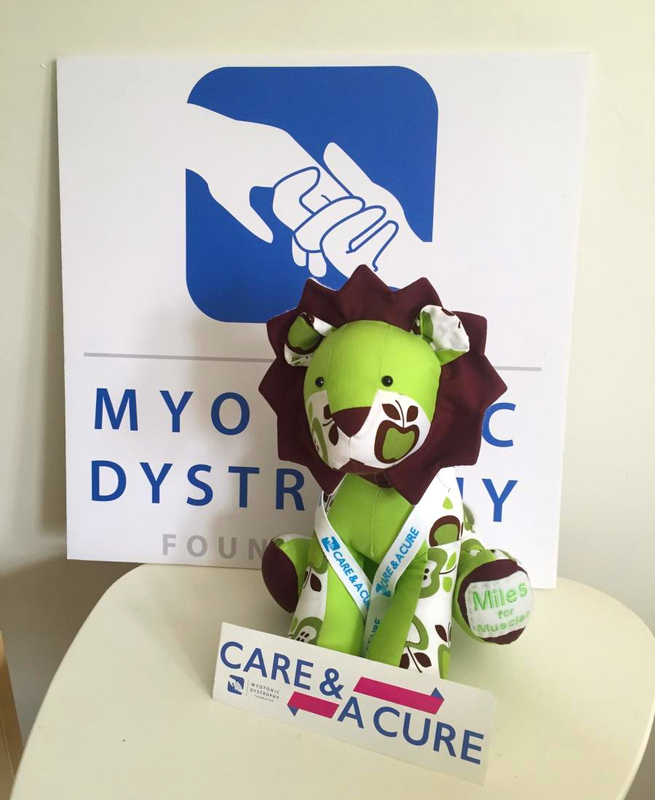 Meet Miles the Myotonic Lion, a cat who's come to life via the imaginations of Loraine Dressler, Lisa Payne, and other grandparents in the MDF community. 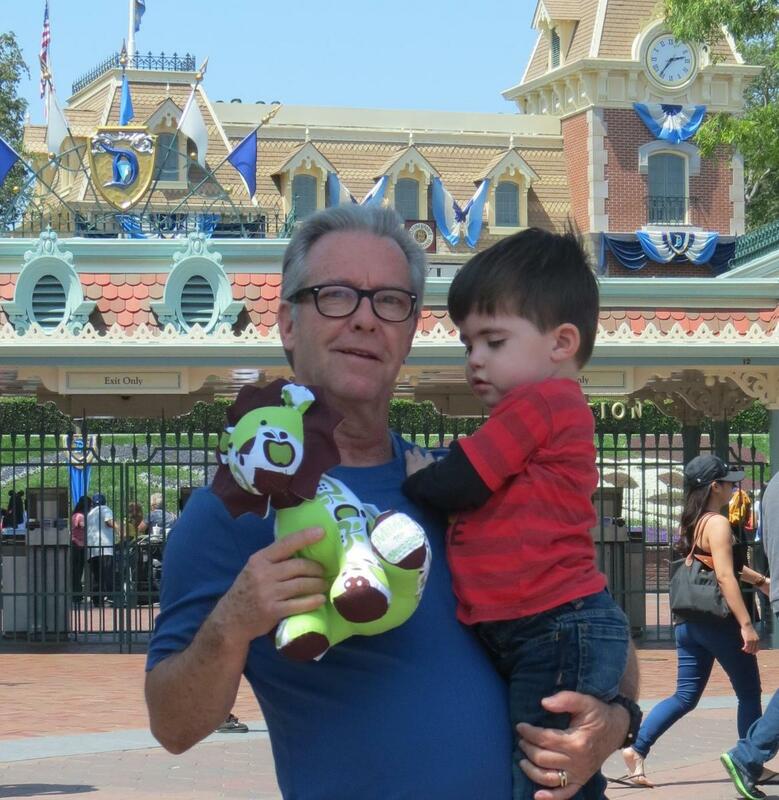 As part of the 2015 Grandparents Campaign, these loving grandparents have trained Miles to bring his charisma to life to help raise funds and awareness for Care and a Cure. Now they're ready to release him - not into the wild, but to you. Miles has already been to Disneyland, San Francisco, Paris, and beyond - let us know where you would like to see him turn up next. 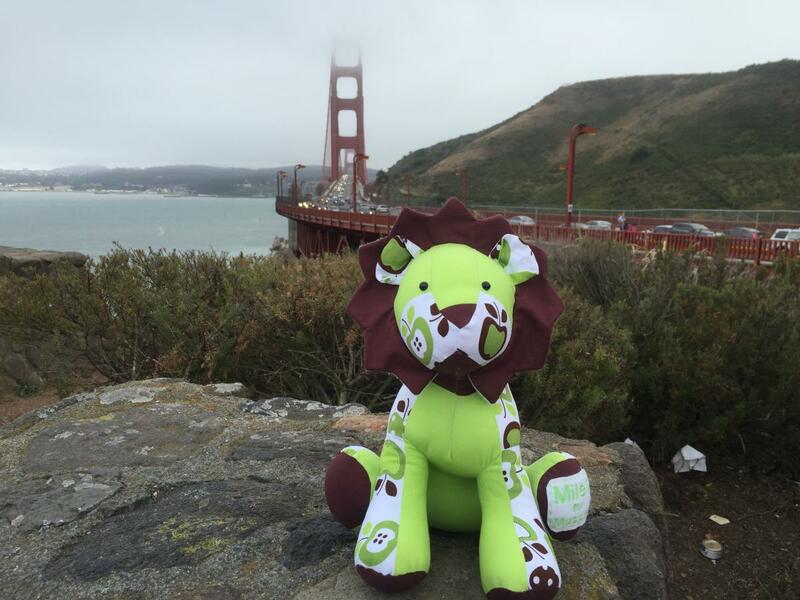 Our friendly ambassador Miles is getting itchy for some travel opportunities. He helped raise thousands of dollars at a recent crawfish boil in Southern California, and is ready for more! He doesn’t wish to be impertinent, but he’s asking who might like to have him over for tea or a dinner party so he can help raise funds to boost MDF’s support for care of families living with myotonic dystrophy and speed our progress toward treatments. He’s also expressed a certain fondness for athletics and requested to be carried along on any team walk-a-thons or fitness events. You know how stealthy lions can be. Miles hasn’t yet experienced the joy of riding in a stroller and suggested that perhaps a member of the community might like to gather a few friends together for their own strollerthon to raise support. He is a determined yet flexible envoy, ready for the next adventure! Please give us a call at 415-800-7777 to let us you’d like to invite Miles to join your fundraising endeavor. Yes! Miles would be happy to visit you. Send us an email and let us know where you would like him to go. If you are hosting or attending an event, large or small, that you would like Miles to join you for, please let us know. MDF will make sure he gets to you in time. As you can see, Miles is quite photogenic and loves being in front of the camera. Please take lots of photos of him with your friends, family, and any landmarks in your area to document his travels. Most importantly, your commitment and compassion, playful and timely, will help Miles to connect us to one another, one family at a time. Click on the stars on the map below to scroll through photos of Miles on his travels. Each star represents a different location that he has visited, and the circles represent places he is planning to visit soon.